Hi there, please fill out and submit this form for the date and time we have agreed. IS REHEARSAL OR ANY PRIOR LOCATION MEETING REQUIRED? Please provide details of date/time/location below if so. There will be an additional charge of $100.00. IS THE WEDDING IN MANHATTAN? LIST ANY SPECIAL REQUIREMENTS OR DETAILS Anything extra you want included? Candle Ceremony? Sand Ceremony? MARRIAGE LICENSE: We understand that it is our responsibility to acquire a valid marriage license in New York and the marriage license must be present when the ceremony is performed. We understand that failure to have this legal document means that Emma Keller cannot legally perform the ceremony and is under no obligation to do so. It is our responsibility to find out the legal requirements of any country(ies) we wish to have the marriage registered in and to take whatever steps we need to register abroad. DEPOSIT: $50 of the fee is due with the signing of this contract. The deposit is nonrefundable if cancelled within 30 days of the wedding. The balance is to paid at or on the day of the wedding. TRAVEL: We agree to reimburse Emma Keller for the agreed amount of travel expenses at the wedding when we pay the balance of the charge. CANCELLATION and REFUND: The agreement of Emma Keller to perform the ceremony is subject to proven detention by accidents, riots, strikes, epidemics, acts of God, or any other legitimate conditions beyond her control. If such circumstances arise, we shall receive a full refund. We agree that in all circumstances, Emma Keller’s liability shall be exclusively limited to an amount equal to the performance fee and that Emma Keller shall not be liable for indirect or consequential damages arising from any breach of contract. ADDITIONAL TERMS: If the ceremony includes a sand ceremony, unity candle, or any other special feature, we are responsible for furnishing all equipment needed. Emma Keller agrees to arrive at the wedding location listed on the contract at the agreed time. We understand that we must adhere to these times but Emma Keller does understand weddings do not always go as planned and will accommodate for weddings that start later than scheduled, as time permits. 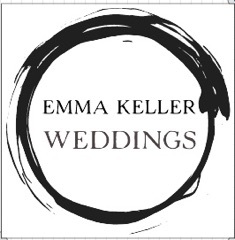 Emma Keller will allow for a 1.5 hour block of time per wedding to give plenty of time for unexpected delays. If we wish to have Emma Keller attend a rehearsal, or a pre-wedding meeting at the location it needs to be explicitly added to the package, and an additional fee will apply. SIGNATURE* This field is required Please type your full name as an electronic signature. After submission you will be redirected to PAYPAL to pay the $50.00 deposit. DEPOSIT PAYMENT CHOICE How will you pay the $50?